The rise of the smartphone and the always-on nature of today’s consumer have fundamentally changed customer influence. There are huge opportunities available to marketers that effectively incorporate mobile into their efforts to reach customers of all ages. Importantly, mobile enables retailers to bring the benefits of digital into their brick and mortar stores. This gives marketers the ability to immediately engage and activate consumers in-store by providing them exclusive offers to be claimed via mobile, generating advocacy and creating long-term ongoing communication relationships through mobile channels. The back to school shopping season in particular presents marketers with a unique opportunity to create excitement and a sense of urgency, using mobile to activate consumers in store. Want to build a CRM database your brand can use for ongoing SMS engagement and future promotions? 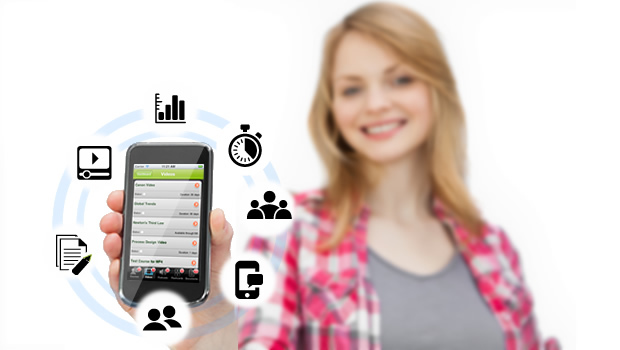 No problem – going mobile is the key! When Old Navy decided to ramp up their back to school promotion, they determined that their number one goal was to get students into their stores as opposed to purchasing online. Their ‘Multiply Your Style’ campaign used mobile to promote an in-store event through students’ social networks. The event was set up with food and drinks to encourage traffic. Participating students grabbed their spot to walk the runway in style and parents took pictures of their kids rocking their favorite Old Navy back to school looks – sharing the pictures via Instagram or Twitter using the hashtag #myONstyle. Students could enter for a chance to win a trip to LA to shop with Jennette McCurdy and Ariana Grande, stars of Nickelodeon’s Sam & Cat, with $1,000 to spend at Old Navy – or appear on the Old Navy website. The personalized nature of the pictures students and parents share helps to drive brand relevancy to shoppers’ social networks – activating participants into digital evangelists for the brand. And that’s the real bottom line. The golden egg, so to speak. The back to school shopping season presents marketers with a number of opportunities to increase customer engagement. While the specific strategies or concepts you offer may be different for parents and teens, all campaigns should use the same digital marketing channels – social and mobile – that resonate with all customers.